OCCURSUS: SYLVIA ERNESTINA VERGARA: A "WHOLE-ISTIC ARTIST"
Occursus literalmente significa Encuentro. Este espacio está dedicado a mujeres comunes y al mismo tiempo extraordinarias. La entrevista es el medio del Encuentro entre ellas y los lectores. SYLVIA ERNESTINA VERGARA: A "WHOLE-ISTIC ARTIST"
Before beginning, I would like to thank Carmen Amato for this opportunity to share my endeavors, hopes and dreams. She has been a great inspiration to many writers and her encouragement has had a very profound and positive impact on many people. My name is Sylvia Ernestina Vergara. I was born in Albuquerque, New Mexico. My endeavors include, writing, composing music, dance, organic agriculture, nature, teaching, photography and performance. I live on an organic farm in the Embudo Valley on the edge of a small village called Dixon in New Mexico. My mother comes from a long-standing Spanish colonial family and my father was from Chile. I have two children that are very accomplished in the performing arts. I primarily refer to myself as a “whole-istic” artist. I use the word in English “whole” which describes more accurately what I feel my life experience is. It is a multiple approach to living; an interactive process through creativity, art, spirituality and communication. These endeavors often happen simultaneously; they integrate and create a single focus called life. Generally, I have various activities happening at the same time. Presently, I am at my mother’s house. Today is her birthday. She is 102 years old. I help to take care of her some of the time. I maintain a flexible schedule so that I can create. Presently, I am finishing one of several music projects—a sonata for four saxophones, soprano, alto, tenor and baritone. I just finished a vocal duet for soprano and alto with piano accompaniment and I am mounting a single track environmental song called Raindrop that can be purchased at a music website called cdbaby.com My great concern is the global environment. I just finished reading a book by Rachel Carson called Silent Spring. It affected me deeply and I was inspired to write a story and libretto for a smaller scale opera/musical that I am composing which I have named, The Black Nightingale Prince. I also wrote another opera/musical that I wrote called Raindrop that was presented as a live dramatic reading and songs for Earth Day, 2010. I am experiencing each day as a great gift. I think about it especially when I am lying in my bed and the light of the morning starts to stream through my bedroom window. If I wait long enough, I can hear a little bird and maybe more sometimes, singing as they greet the morning light. I start to think about this and I begin to feel the uniqueness of the day—how special it is, what a great gift a day is in the life of anyone or anything. When I write in my journal about this, other things begin to occur to me. Soon I realize that there a second great gift and that is, the gift of “choosing.” I realize that I can “choose” how my day will go. I write about this and then I really start to pay attention to what I am choosing all day long. What are my activities, my words, my actions, my thoughts and concerns. Who did I remember, where did I go. My day is emerging with a quality that is making it more unique and singular. I write about this in my journal and then I realize that there is a third gift. This is the gift of sleep. One third of my life is spent sleeping. It is an opportunity to learn about peace and tranquility. Also, it is another reality—a dreamtime reality that contrasts with my wake time. Now, I am thinking a lot about my bedroom. Actually, I am no longer calling it my bedroom. I call my bedroom, my “dream room.” I never used to make my bed. All of the sudden, I want to take time to make my bed. I find that taking time to make my bed puts me in a calm, meditative state. The activity of making my bed creates within my being a sense of peace, tranquility, restfulness, balance—it’s like blessing where my dreams had come to visit me. It marks the place where I lie and must trust, yes, must trust that the light after the darkness of night will return and flow through my window and greet me once again. I write about this and ponder and think about these three wonderous gifts that did not cost me a penny. My awareness of these three gifts has radically changed my life. I think again and realize that every human being has these three gifts of human experience. I really like this. It’s a realization of a cosmic identity of humanity—especially after feeling the shamefulness of what destruction we as human beings have caused the planet, it is through these illuminations that I feel optimistic again, hopeful that as a human beings, we can express and share our gifts without exploitation that we have. I am a professor at Northern New Mexico College in Española, New Mexico. I teach Music Appreciation and Piano. I also have taught Creative Dance and Flamenco. I also work for myself. I have an organic (no chemical or pesticide) agricultural based endeavor called La Carreta. www.lacarretanewmexico.com In the past, I have made a line of fruit preserves, sauces, vinegars, teas, apple cider from the fruits that grow in my orchard. My La Carreta business is undergoing an updating process and a change of direction at this time. The new changes will be reflected in my website soon. I will be making fewer products with sugar such as fruit preserves. What I will continue to do is make fresh pressed apple cider, vinegars, fresh and dried fruits, herb teas, apple syrup without sugar. Also, I am very interested in healthy, organic nutrition, fresh bean sprouts, fresh fruits and vegetables. I will continue to sell my photography and books and hope to pen some articles and essays for journals and newspapers. Recently I wrote a large scale musical/opera called Raindrop. It is an environmental work consisting of 15 arias. It was presented last year 2010 in Dixon, New Mexico for Earth Day, World Environment Day and on radio for Fourth of July. There is a detailed description of these events on my website, lacarretanewmexico.com under the “news” section of my website. I have also published some environmental essays in this same section as well. I also have a recorded song called Raindrop which was premiered with an interview of me done by Dave Hockmeyer at the world famous KTAOS solar radio station up in Taos, New Mexico, January 2010. I am a self-publisher. My books are published under my publishing company called La Carreta. 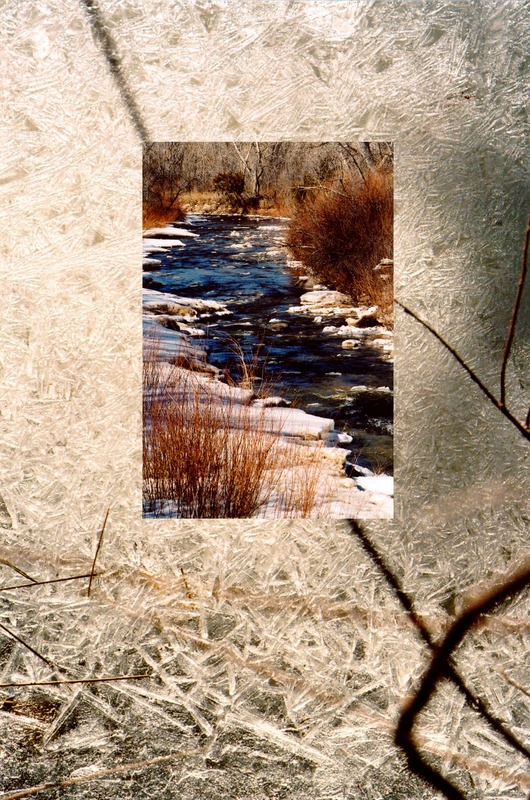 I have also published an article for an environmental journal, call Taos Green Guide for Sustainable Living. My photographs have been published front cover and inside covers of a book that was produced by the National Hispanic Cultural Center and the Pueblo Cultural Center called Healing Plants of the Rio Grande Valley: Hispano and Pueblo Uses of Nature. The book is edited by Verónica Iglesias Swanson and Carlos Vásquez. It is an intercultural collaboration. The cover of the book and two additional large full size pages are of my photographs. They are pictures of remedios that grow on my farm. Many of my works in music, literature, photography and dance have been published in magazines, books and newspapers. Some of them have won awards. Three plays--Catedral del Viento concerning the controversy of "Our Lady" digital art work of Alma Lopez/ Marco's Return a Vietnam veteran from Alcalde returns from the war in search of his daughter given up for adoption/ Serenata a romantic play without conflict about love between a Cherry tree and the acequia water and how they never want to be separated. Frontera, an at length narrative poem with Spanish translation by Hector Contreras reflecting on border issues and clashes. Las Mujeres Desparecidas, an at length poem inspired by various trips to Juárez and conversations with women of Juárez. Final poem inspired by imaginings of grass roots strategies creating social change through communication. Featured at the Encuentro de Poesia en Ciudad Juárez. Tecolote Tale--a young boy tests his courage and meets an owl who teaches him wiser ways/ The Master and His Slave--two men are marooned on an island learn that survival requires overcoming personal barriers even though they have the physical means to save themselves./ The Psychic Desert--explores an interior world of solitude--imagination and reveals itself in a desert where animals, humans and spirits play out the interior drama of the human spirit. Intimate poems--a love letter to the universe/ a deep request, a Spanish healing remedio for a return to balance in the world. 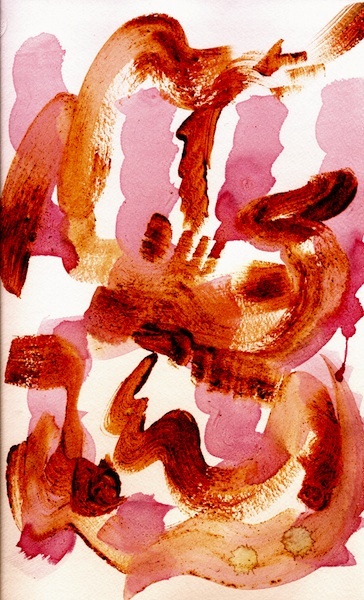 This work is also re-interpreted in jazz with song, piano, string bass and flute. An Epic poem inspired by the account of the tilma of La Nuestra Señora de Guadalupe enshrined at Tepeyac near Mexico City. An additional separate poem concludes the book called The Fragments of My Soul in English with Spanish translation by my mother, Maria Casias and Carmen Holguin Contreras. Three essays interwoven within a story. A non-fiction narrative about the author’s experience of being a Challenger for the Democratic Party at the Alcalde Precinct#2, November 2, 2004. The account covers a period during the election campaign, the Election Day and time after the election. It is about the personal experience of political involvement. I have a list of projects that I am working on. I want to finish entering all the arias from the Raindrop musical/opera into and learn the Finale composing computer program. Finish the overture that goes to this opera and also finish my project of having the theme song from Raindrop available to buy on cdbaby.com. This will be happening very soon, so check out that website for the song. Also, I want to put the Raindrop story into an e book and hardcopy to sell. My hope is to have The Black Nightingale Prince also ready. I also have two ideas for other opera/ musicals and an additional essay and story. These are all on my mental dock (logged in my mind) ready to work on as soon as possible. All the work is environmental. I would like to tell people who are concerned about the environment---Don’t give up. Make “trying” a goal. You must make it a consistent, life-time effort. Read Rachel Carson’s Silent Spring. She is a wonderful writer and an important example and model of someone who made such important contributions through her writing. She is an inspiring example of someone who makes “trying” a life-time goal. Sylvia Ernestina Vergara is an internationally recognized visual, performing artist and author. 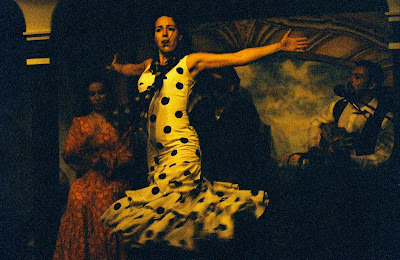 Vergara has a Master Degree from Mills College, Oakland, California in Theatre Arts with an emphasis in Dance Choreography and concentration in music. Sylvia E.Vergara is an accomplished pianist, composer and dance choreographer. She was awarded a partial tuition scholarship in music composition by eminent French composer, Darius Milhaud (Aspen Summer Music Festival). Her other mentors include J. D. Robb and Walter Keller of the University of New Mexico. 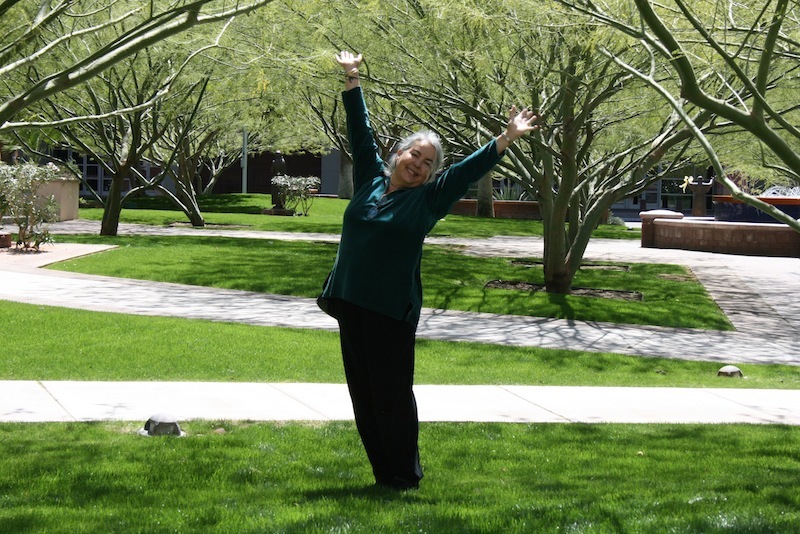 Ms. Vergara founded and directed Arte Mudanza, a prominent performing and visual arts center receiving support through five separate successive grants from the New Mexico Arts Division now known as the Office of Cultural Affairs. Using music composition and dance choreography, writing, visual arts and agriculture, Sylvia creates an artistic synthesis about life in rural New Mexico. 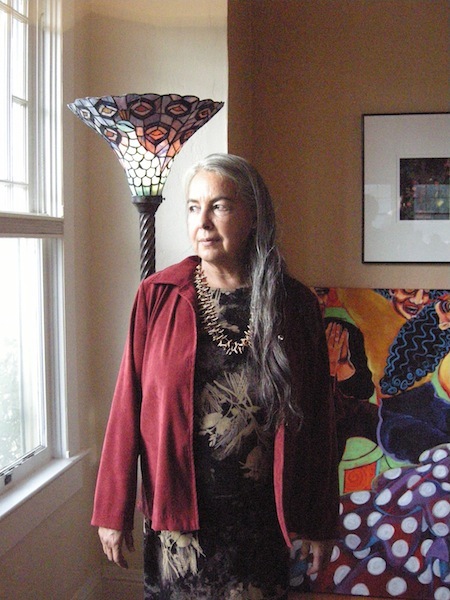 Through art she expresses her cultural New Mexico roots that reach back generations. Simultaneously, Vergara expounds on contemporary topics that concern environmental and social issues locally and globally. On Earth Day, April 23, 2010, Ms. Vergara premiered her musical/opera called Raindrop, an environmental musical for children, teenagers and adults about the Arctic, global warming, polar bears and solar cars. Other 2010 presentations of Raindrop were for World Environment Day and Fourth of July. Her approach to challenging environmental issues is positive and seeks to explore in as many ways as possible viable solutions that might work. Vergara believes that artists can make an important difference in helping to solve the world’s most difficult problems through a visionary approach that uses imagination and creativity. Sylvia has presented her creative works at the Tercer Encuentro Internacional de Poetas 2008 en Ciudad Delicias, Mexico. This is her seventh invitation to share her music and literary works at international symposiums for scholars, writers and journalists in Mexico. Sylvia Ernestina Vergara has been a three-time panelist for Bioneers in New Mexico, an internationally prominent environmental organization. 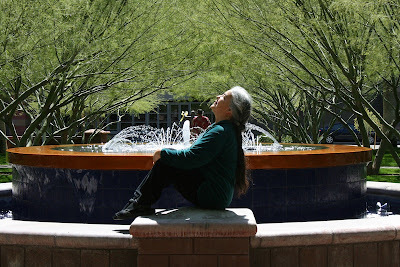 Vergara presented her perspective through her written articles, song, poetry and art at the New Mexico Bioneer’s Conference 2007 in Santa Fe. Ms. Vergara is featured in the January 2008 Taos Green Guide for Sustainable Living concerning water issues. 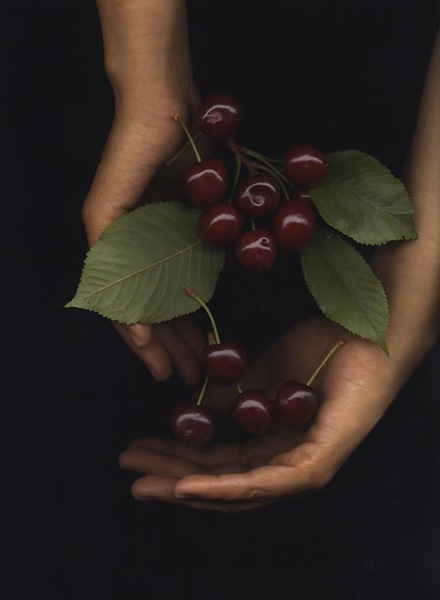 Vergara’s latest photographic publication was for a major book called Healing Plants of th Rio Grande, Valley: Hispano and Pueblo Uses of Nature, a collaborative effort between the National Hispanic Cultural Center and the Indian Pueblo Cultural Center, USA. 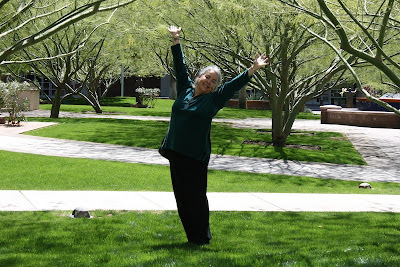 Sylvia Ernestina Vergara teaches Music Appreciation at Northern New Mexico College. She also has the honor of being an original member of the women’s literary group of prominent Mexican scholars and writers called Red Planetaria de Mujeres Poetas. There is more about the literary encuentros that I would like to talk about that were so wonderful and listings also of literary works in Mexican anthologies. I would love to talk about how wonderful the literary encuentros in Mexico were and what a life-long, powerful inspiration they were. I will never forget those cherished and valuable experiences and the wonderful friends I made. Thank you. Presently I am conducting two environmental studies at the farm. Winters are very cold in northern New Mexico. This year 2011, the temperature dropped 20 degrees below zero. Generally the temperature does not drop that low. I live in an adobe home and in the past I have used plastic to insulate the windows. This year I have decided to use one sheet of newspaper thickness on the south side and east and west windows and two sheets of newsprint on the north side windows. I also created newsprint panels to section off a room and a hallway. I wanted to use a recyclable material such as newspaper instead of plastic because newspaper is readily available and recyclable. Also, I felt that if I could successfully keep the cold out, perhaps other people in cold regions could benefit from this experiment and try this method. I was able to conserve heat with minimal dependence on other fuels for heat. Next season I hope to use plain newsprint paper that I can create artwork on the paper. I see important aesthetic possibilities as well as functional ones. Also, I found using newsprint an affordable approach. The entire project cost less than $10 dollars. Anybody could do it. To sanitize a drinking water well. Many people in rural northern New Mexico have water wells that they use for their drinking water. Chlorine is used for sanitizing wells. The continued use of chlorine has been found to be harmful to the environment. This includes the devastation to water aquifers, air, our bodies, soil and nearby rivers and streams. I am experimenting with apple cider vinegar as an alternative to the use of chlorine for disinfecting my water well. This study will be conducted throughout the year 2011 on my water well. Apple cider vinegar does not hurt the aquifer. It is safe for our bodies and does not hurt the air. And as I imagine it, I like the idea of supporting an organic (no chemicals or pesticide industry) by using an organic apple cider vinegar. If this can be achieved, then people possibly could have another alternative that does not hurt the environment. Yo creo que ninguna semilla debe ser patentada. La semilla no esta hecha para ser estéril y no dar más semillas. Todas las semillas pertenecen a la humanidad y esto significa ayudar a alimentar toda la tierra. Dedico este poema a todos los campesinos del mundo y especialmente a aquellos que han perdido toda esperanza y están cometiendo suicidio (especialmente en India) porque han perdido sus derechos humanos y sus semillas. Qué diminutos, mis pequeños Dioses y Diosas. mientras el helado invierno os pisotea. Vuestro primero y último grito es "¡Semilla!" Todas las pequeñas Dioses y Diosas llamados "Semillas"
Nosotros no debemos estar sin las pequeños Dioses y Diosas. NUTRIENTES. Obra pictórica hecha con tinta de chile y cerezas. crecen vigorosamente bebiendo las aguas de sus orillas. DESEA CONTACTARSE CON SYLVIA ERNESTINA VERGARA ? Sylvia: Bienvenida a esta página de mujeres tan comunes como excepcionales. Sylvia: Tu plenitud es una inspiración. Es un placer leerte y conocerte. Eres esperanzadora y una bella realidad. Carmen: De nuevo gracias por la generosidad de tus iniciativas y aciertos, me refiero al contenido todo de tu blog. Zyanya Mariana a corazón Abierto.